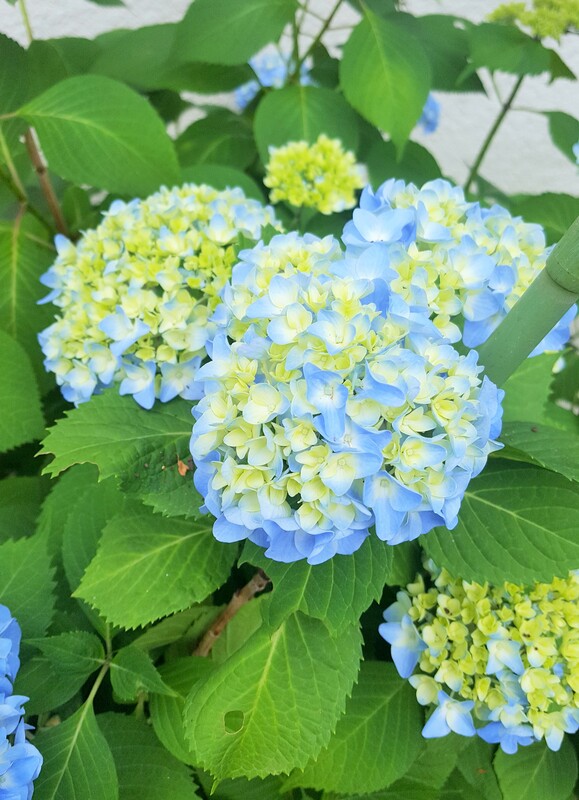 Here are hydrangea in mom’s garden. Mei-Shun loves it, while the one mom-in-law planted is a bit too strong in blue. Light shade of the former was preferred by her late father as well. 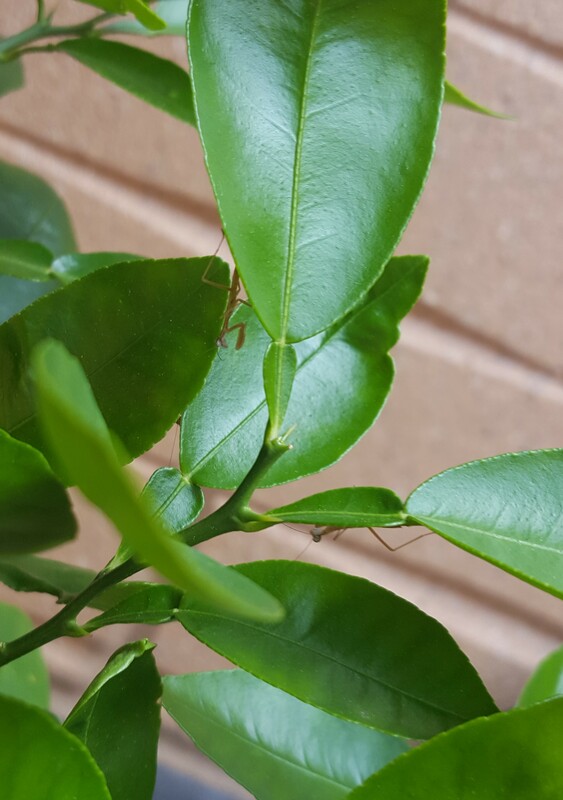 And oh, mantis babies, welcome to our balcony. You are so clever that were born before the season of rain after rain comes. Please do not hesitate to stay on grapefruit leaves for a while.